"The Fourth Estate" could hardly arrive at a better time, providing a fly-on-the-wall view of the New York Times during the first year of the Trump presidency. Filmmaker Liz Garbus has managed the seemingly impossible, getting savvy media pros comfortable enough to (mostly) ignore the cameras, while exploring a range of issues that go beyond the Times -- and Trump -- to those conditions plaguing newspapers in general. 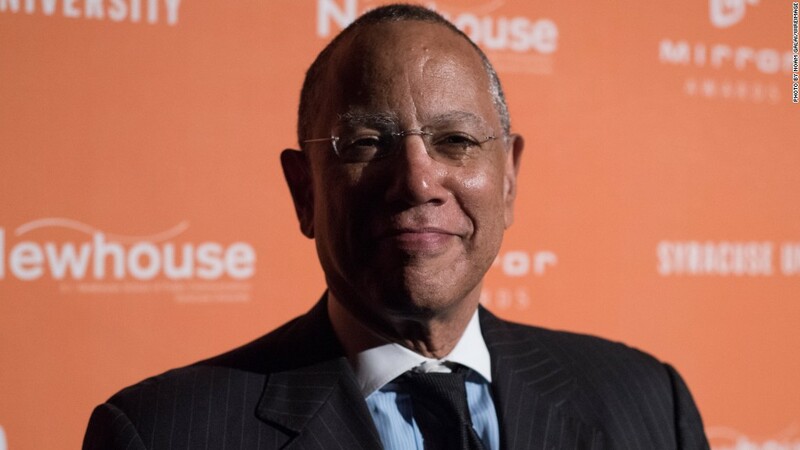 Donald Trump's inauguration offers a point of entry into this four-part documentary series, presenting "A huge test for us in a lot of ways," as editor Dean Baquet puts it. All that is exacerbated by what star reporter Maggie Haberman describes as the new president's obsession with the Times, craving its validation while simultaneously deriding its coverage. Still, there's a lot more going on in and around the Times during this stretch than just tackling the new administration, including Bill O'Reilly's eventual downfall and the wider #MeToo movement. The venerable Gray Lady, meanwhile, is undergoing wrenching changes, adapting to the digital age and laying off copy editors to reduce costs. Media reporter Jim Rutenberg is shown with the unenviable task of interviewing colleagues, who fret about the cuts, among other things, playing into the president's "failing" narrative. "The business model ... is rapidly disappearing," says publisher A.G. Sulzberger, while Baquet acknowledges that this is "a difficult moment for journalism," while stressing that it's "exhilarating" as well. Admittedly, the work of journalism isn't always especially camera-friendly, but it's still enlightening to watch reporters assigned to the then-fledgling Russia group work sources, engaging in one-sided conversations as they seek to clarify matters like talking on background versus being entirely off the record. Part of "The Fourth Estate's" goal, clearly, is to attach human faces -- and lives -- to the bylines, an act of transparency at a time when journalism finds itself besieged. Haberman, for example, interrupts a radio interview to go Facetime with her son, while reporter Michael Schmidt speaks of having little time for a personal life, saying, "I work, and that's what I do." Still, if "The Fourth Estate" seeks to humanize its subjects by offering glimpses of them outside the office, to her credit Garbus doesn't airbrush the issues that journalism in general -- and the Times in particular -- faces. And the access is impressive, capturing pained expressions as former FBI director James Comey testifies before a Senate committee, insisting the Times got a story wrong; and following reporter Jeremy Peters to the conservative CPAC convention, where he's treated like a pariah. For all that, some critics will surely see "The Fourth Estate" as an infomercial for the Times, but there's a deeper message in here about the state of legacy journalism. Even amid the cacophony of digital voices, Baquet says, "The number of institutions that can do this is shrinking unfortunately." It's a sobering reminder that the fourth estate, as it refers to fulfilling the press' function, is imperiled in ways that go beyond the slings and arrows of one president. While Garbus focuses her lens on the Times, the paper thus becomes a microcosm of a story with greater implications than what happens in one newsroom. "The Fourth Estate" premieres May 27 at 7:30 p.m. on Showtime.